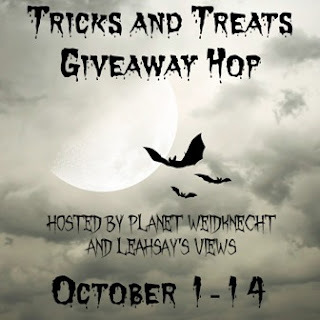 Be sure to visit all the blogs listed below and enter each giveaway! in winner's choice of color! If I don't write something down, I will forget it, even if I set a reminder on my phone. The Master Planner is designed with moms in mind. They are sized to fit perfectly in purses or diaper bags. They are hardback bound in a beautiful soft Italian fabric and come in 5 different colors. They have full month views as well as weekly views with a vertical design so that you can list up to 5 kid's schedules. There is also a space for dinner planning. They feature a high paper quality with color on every page. They come with a removable notebook, elastic band to keep it closed, ribbon marker and perforated corners to rip out as the weeks go by. Each one is priced at just $29.95, making it a perfect gift for the upcoming holidays. Visit themilestonedesign.com to learn more and to order yours today! Plus, when you use this code, you'll automatically receive a free extra notebook that comes in the back of The Master Planner. 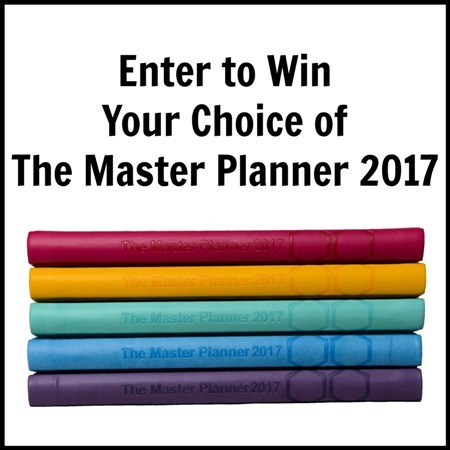 Enter to win your choice of The Master Planner 2017! To enter, just fill in the giveaway form below. Giveaway is open to US residents, ages 18 and up. Giveaway ends on 10/14/2016. Good luck! I would choose the fuchsia planner if I won! I would choose the 2017 MASTER PLANNER in CORNFLOWER. I would choose the planner in violet for my daughter. I love the mint and cornflower! So beautiful. Dang, choosing a color isn't that easy, I absolutely love them all. But I guess if I had to choose, it would be Mint. Love the color! I really like the cornflower one! I really love the mint!! I would choose the Purple one!!! I am going to use my Star Wars Mind Control techniques and say, "I will be the winner of this giveaway and I will choose the color of Marigold". I would choose marigold, though I love them all!! I would love the Fushsia color. Reds are my favorite colors! Purple is my favorite color but I really like the marigold, so happy! I would LOVE the Cornflower color! It is so pretty. I would love to use this planner. I use my phone too, but like you said...if it isn't on paper or in my face, I will forget! The color of my choice would have to be either mint or marigold. Wow, hard decision actually. Mint green is my very favorite color, but I'm actually hesitating-- they're all so lovely and vibrant! I love the mint color the best. I'd choose the mint color! I would choose the mint color! Hard choice though! i love the vision board!! but as for the color i would choose marigold! I would choose either the blue or the purple. I would choose the mint. I think I would do the FUCHSIA as part of my Tupperware business. This was I can carry it with me always and so I won't have too many surprise"conflicts" with family events and Tupperware events. I like the cornflower color. I would love to choose 2017 MASTER PLANNER in MARIGOLD, love the vibrant color on this one. I would choose the violet one. This one would really be in handy as we are planning on moving in April/May when our lease is up and this will definitely help us keep everything as organized (as possible). It is SO hard to pick one! I think I would choose RED!! But if I gave it to my oldest, I would have to choose the blue! I think I would go with the yellow, marigold! I really like the Cornflower color. Thank you for sponsoring this giveaway and I hope I win. I'd be honored to own the red one! TY! I would really like the purple color! I love the cornflower blue one. They are all very pretty though. I like the fuschia color. I really like the violet. I'd love to have the cornflower or fuschia! What a great planner! I just bought myself some cute planner stickers. This master planner would make it a perfect combo! I'd choose Marigold. It is a hard choice betwwen the marigold or the purple. I would love either. I would choose the 2017 MASTER PLANNER – VIOLET. Thanks. I would choose...im tossed between Violet and Mint but probably Violet. Looks great! I would choose yellow! I like the mint color. I would choose the violet color. I'd pick the mint planner.